Equipping and encouraging women to fully engage in the life and mission of Jesus Christ. 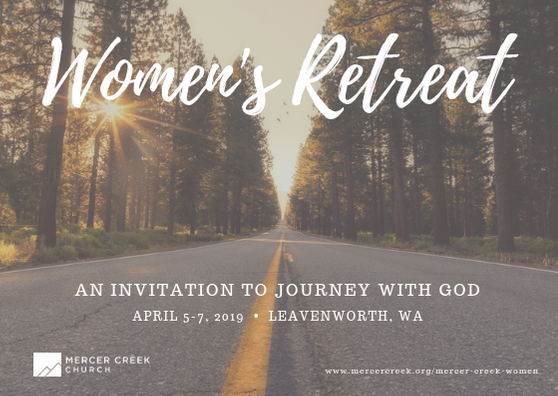 Mercer Creek Women focuses on weekly small groups, offers day and evening events, and an annual women's retreat. Tuesday mornings 9-11 AM in the Fellowship Hall. Childcare provided. March 21 NO GROUPS (spring break). March 26 and April 2 S.O.A.P. Bible reading method. There are two choices for our last session this spring. April 9 - May 21 Kingdom Women by Tony Evans and Chrystal Evans Hurst and Women in the Bible by Rhonda Harrington Kelley. Tuesday evenings 6-8 PM in Room 15. No childcare provided. NO GROUP March 21 (spring break). MArch 26 and April 2 S.O.A.P. Bible reading method. There are two choices for our last session April 9 - May 21 Kingdom Women by Tony Evans and Chrystal Evans Hurst and Women in the Bible by Rhonda Harrington Kelley. Kingdom Women - Embracing your purpose, power and possibilitites. Whether you're married or single, you'll disciver that God wants to be the first "Husband" in your life. Video series and workbook. Light homework. Women of the Bible - Learn lessons of faith from women who walked with God. Whether wives, working women, or leaders, the women in the Bilbe represent a rich heritage of faith and service. Follow this journey into the personal lives, culture, and circumstances of more than 30 Bible women. No video. Five days of homework each week. To sign up for one of these groups click here. 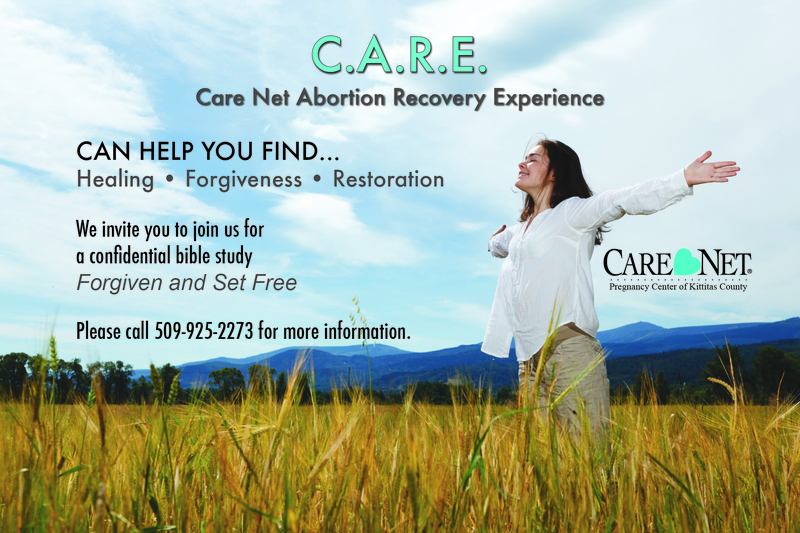 Care Net Abortion Recovery Experience can help you find healing, forgiveness and restoration in this confidential Bible study Forgiven and Set Free by Linda Cochrane. Are you suffering silently in the aftermath of abortion? You are not alone. This eight week group is hosted by Mercer Creek Church and led by Care Net Pregnancy Center of Kittitas County. Begins March 26 at 5:30 PM in the Mercer Creek office conference room. To register click here. For more information contact kerry.hansberry@mercercreek.org or Judy Phelps Executive Director Care Net judy@carenetellensburg.org. Looking for a different kind of group? Questions? Contact: kerry.hansberry@mercercreek.org or Sign up for a group here. Registration closed March 13, 2019. If you are registered for our retreat and have questions, please contact Kerry Hansberry 509-933-7800 or kerry.hansberry@mercercreek.org.